Mindlessly surfing the web, I stumbled upon an article that had me riveted from moment one. Surprisingly, this post described various ways parents scar their kids for life. Curious and always a bit unsure if I am on the right parenting path, I was floored to learn the #1 way parents are ruining their children. It wasn’t the terrible reasons you would expect, such as neglect or abuse. According to this article, Hubs and I are one step away from ruining our children because of something we do regularly. We tell our children ‘no’. Saying ‘no’ has become a taboo phrase in the parenting world. Modern day parents are expected to let children explore the world, culture and social issue without boundaries or face ridicule by the masses. Modern day children are often entitled and self-centered, believing the world revolves around them. Many of the poor attitudes can be attributed to lack of correction in the home and few consequences for their actions. Yet we as parents have the power to guide our children on a different path and to set boundaries to safeguard their developing hearts and minds. 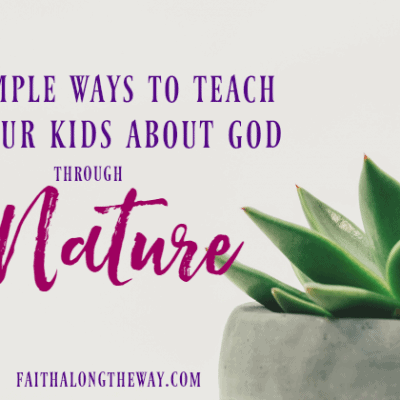 There may not be a magic formula for raising kids who are generous, appreciative and godly, but saying ‘no’ is a great place to start building character. Here’s how a firm ‘no’ is a blessing to children and a gift that any parent can give. We live in a fast paced society, and kids are taught at an early age to indulge their every whim. With high-speed Internet and dinner that’s as fast as the drive-thru line, waiting has become a lost art. Yet when the boundary of ‘no’ is established, kids learn they have the ability to control their wants and desires. 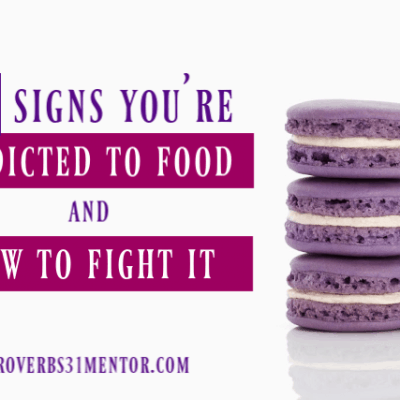 Children also develop the understanding that life does not revolve around them, but that we’re all required to wait our turn and practice self-control each day, even when it’s hard. Memorizing Scripture that encourages self-control is a great teaching tool and helps kids understand God’s commands about this principle. It may not be fun or popular to wait and deny ourselves, but it’s a valuable life lesson that children need to practice on a daily basis. When I was a child, we were taught to respect ALL authority over us and this principle was ingrained from the time I was small. While I despised hearing ‘no’ to a wish and a demand, I grew to respect the authority figure’s request and over time, to take ‘no’ in stride. As a mother myself, I consider it my duty to teach my children to respect authority figures and to obey the first time a direction is given. May that firm foundation of respect help children understand that ‘no’ is not the end of the world and life goes on even when a desire is unmet. This character training will set children up for success as an adult and in the work place, too. It’s a dangerous and demented world out there. I want to have control what my children are exposed to, including movies, friendships and experiences. When something is inappropriate for my children, ‘no’ has to be the answer. It’s not a popular parenting practice, but it’s our jobs as parents to train up our children, not let the world do it for us. We have the duty to protect and filter what our children are exposed to, and saying’no’ helps protects a child’s vulnerable heart and mind. I encourage you to examine your family and the boundaries you have in place. ‘No’ may not be easy, and you’re right to expect that it may bring resistance. I’ve learned that the future of my children is far more important than a few temporary tears. Parents, you can stand strong and say ‘no’ to your kids! 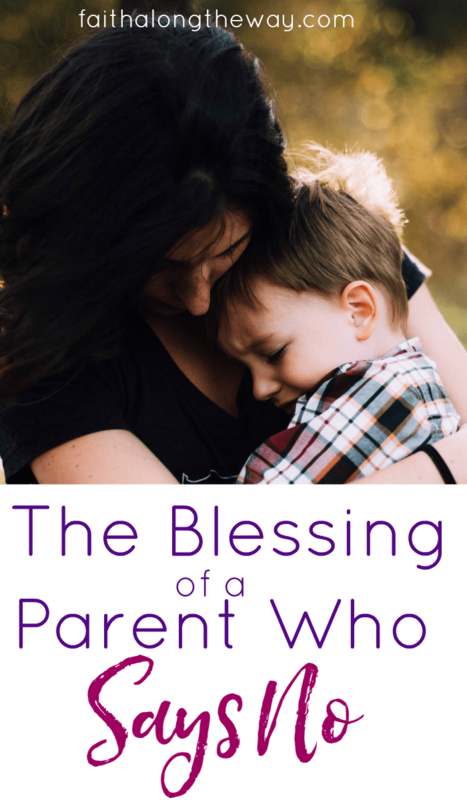 Do you want more faith-filled encouragement for parents? 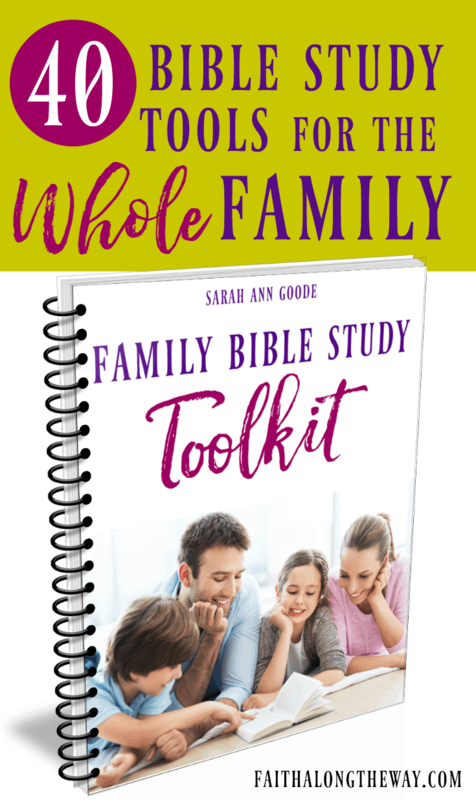 Subscribe to Faith Along the Way and receive The Strong Family Project Printable Pack filled with tools to help you grow your children God’s way and to rekindle the spark in your marriage! How do you set boundaries with your own children? 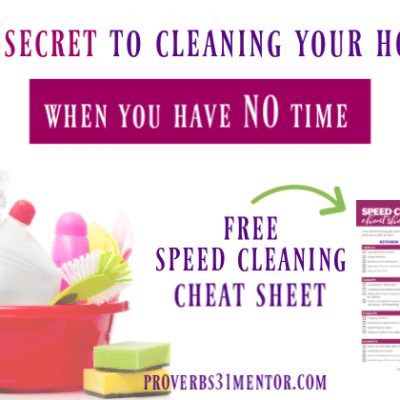 This post was shared with my friends at Grace & Truth. “Parents can filter a child’s exposure” — I love that one! I try to be careful we aren’t feeding an appetite in them we don’t want to grow. Little things turn into bigger things as they get older! You are SO right, Jaime! When I find myself wanting cave over the small things, I’m reminded how they steamroll and escalate into larger things later in life. Thanks for the insight! Heavens, I can’t imagine how my kids would manage their adult lives if they didn’t learn how to deal with “no”s as youngsters. Life simply doesn’t work that way! We can’t always have what we want right now. It’s so important to instill that understanding when they are young. Great article. 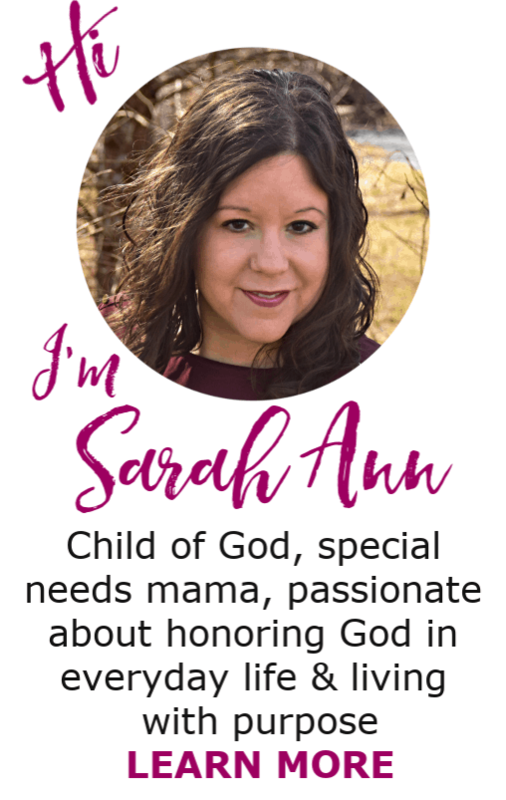 I completely agree with everything you wrote Sarah Ann! 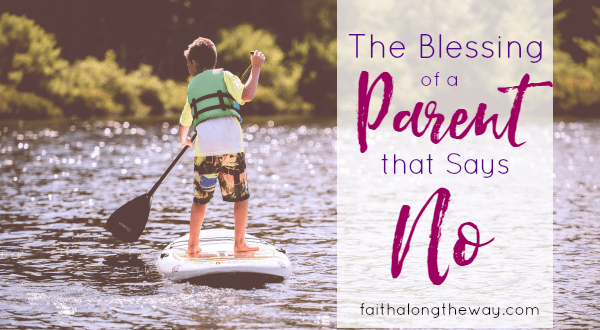 Kids need boundaries and they need to hear NO! sometimes. That way they will appreciate the YES! when they hear it 🙂 Great post! Thanks so much! It’s not at all popular and often not the easier path, but it will help mold and shape our kids for sure! I heard something similar to the “don’t tell your kids no” thing when I was pregnant with my son 22 years ago and I still don’t agree with it. I love that you mentioned saying “no” teaches our children respect. I didn’t enjoy hearing “no” either when I was young, but it taught me to be obedient and respect my elders. By teaching our kids to respect us, it also sets up the foundation for our kids to respect God and follow and obey His word. Absolutely! That’s a great point and reminder that the affects of respect don’t apply to just people, but also teach kids to respect God. Plus, that’s my ultimate goal as a parent, to shepherd children who love and respect God! Great article!As a parent of 5 children with the oldest at 30 yo n youngest who is 11, I have said plenty of NOs! It did not hurt them. We have a big family and I have a niece who was an only child who was given everything! She even had a Mercedes( the most expensive SUV kind) at 16 yo ( I was driving a used Saturn bc cheaper since Saturn is defunct/ out if business!). She is spoiled and allowed to do whatever she wants. She is an adult now- think this will affect later relationships bc she has not made good choices there. My oldest son lol is a principal and disciplines the students- so I guess he must have learned that from us-lol! He is very traditional. Even in my own kids, I was a bit lax saying no to my youngest and I had to rein that in and saying no a lot now bc he is more strong- willed and confident( sometimes too much so). I tell my kids all the time I cannot stand spoiled and disrespectful kids and show them the difference when I see a good kid or naughty kid, and I teach them exactly how one should behave or act or what they should say. Adults always tell me my children are polite and respectful, which in this day and age esp in my area unfortunately is not the norm! Teachers are overwhelmed bc students are unruly, defiant and disrespectful- my kids behave. In fact, my outgoing youngest one has taken on it himself to become President of his school and class, captain if his basketball team so he could be a role model for other kids how to act bc kids respect him! So he uses his strong- willed behavior for good at least! But he doesn’t like to hear NO-lol- I tell him it is for his own good! I couldn’t agree more! Teachers defintely have it hard these days because of the lack of respect! May we all strive to guide our children like you have. It sounds like you’ve done a great job! Love this and thank you for sharing! Found you at Grace & Truth today. Prayers & blessings to you! Thank you, Megan! Glad to meet a kindred spirit from Grace and Truth!